I don’t know about you, but I find it very frustrating to go to a Surname Family Reunion, to be told I don’t need to research my family anymore. More research is done. They show you a typewritten (done on a typewriter) and hand written pages, along with some family photographs. “See it is completed.” You are gracious and look through the papers, proudly presented in front of you. You can tell it was compiled years ago, before computers, with family stories, photos and dates of her family. Much love and care was taken. I noticed that the “Uncle” (my line) was listed without date of birth, marriage or death. I asked if they knew his information. I don’t need to he isn’t in my line. I quickly thought, how can I respond tactfully? “Oh, I was hoping you did knew the information, because he is my direct line.” We talked more. No there wasn’t a diary with births listed. There are some photos of him and the family. The families didn’t talk much in later years, not sure where he is buried. I came away with a photograph on my person (taken with my camera from the photo she brought to the reunion), a promise to get together to look at other photos of the family. Thinking the photos, the information on their line will all help me with my ancestors’ research. I also had the feeling of sadness that they felt no need to research the collateral families. I’m lucky that my family love to tell stories. They may not be interested in genealogy, so to speak, but will share what they know when I ask questions. I continue to document those stories, verifying when possible, and the validity of it. I create yearly book of the year’s events for the children. They love reading the stories or looking at the photographs in the books. This is my way of passing on the family stories, births and deaths for future generations to see. A friend does a computer generated letter with a collage of photos. How many people save those letters, beside myself? The next generation more likely will discard them when I’m gone. My family research will never be done. Not even the collateral lines. I have found out so many interesting things about my family and ancestors from those “cousin” lines. The Practical Side of a yearly book. Preserving the year’s memories in a fun way. Creating them close to the actual event makes it more accurate. You see the growth of the family each year. The books most likely will be kept, so they can be looked at again and again. 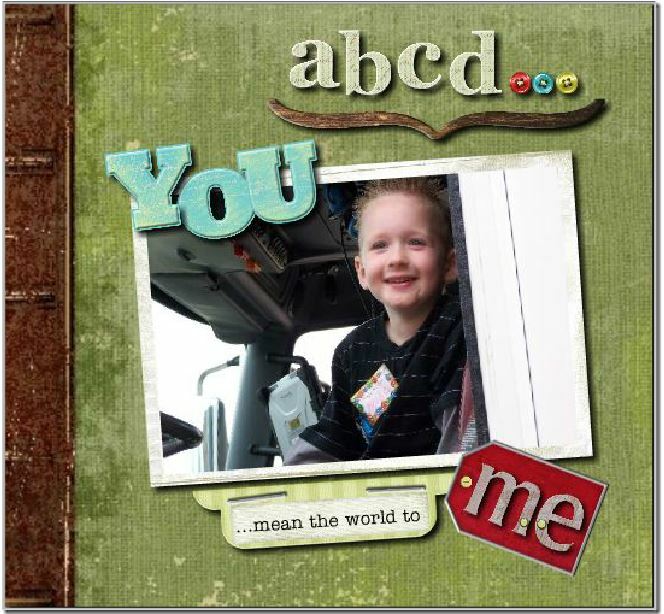 Can teach ABC’s using family photos and stories. Provide a Memorial for your loved ones who went to their final resting place. Capture the memories of a vacation, a Reunion or whatever come to mind. Don’t forget to put your name or the name of the creator of the book in the book. I’m sure you can think of a million things you wish you captured memories of. It doesn’t have to be a fancy cover. Some of my early ones didn’t. 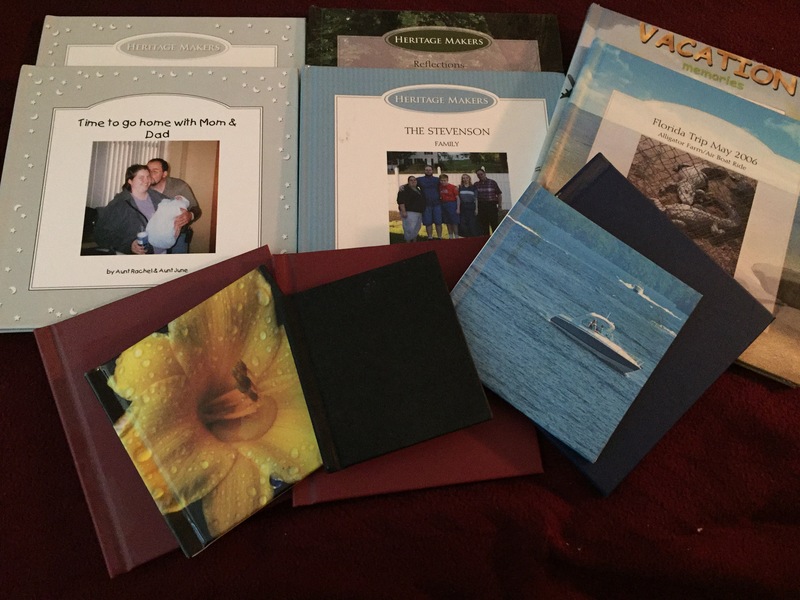 There are many options locally, online or chain stores where they create photo books. Google create photo books, check out your local Chain store photo department or even your local pharmacy photo department. All offer special near holiday times. Valentine’s day is not far away. Look for discounts. It doesn’t have to be a Valentine book. Although if you have photos from past Valentines day, maybe you could write a story about them. Be Creative! Save those Memories! Enjoy those Memories! Share those Memories!!! Previous Post What She is Married? Next Post The K.I.S.S Method of genealogy-My Way!